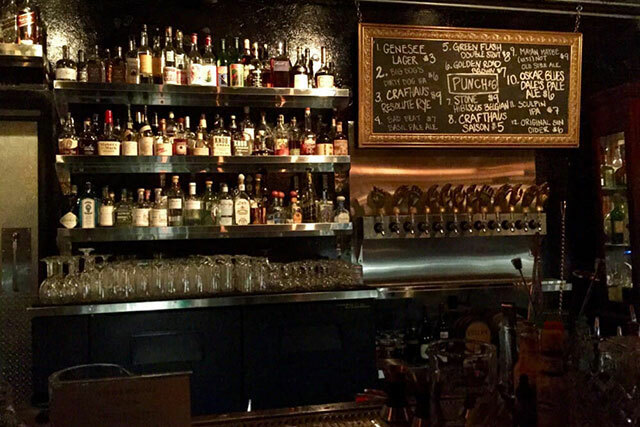 These 7 "hidden" Las Vegas bars are worth checking out now. 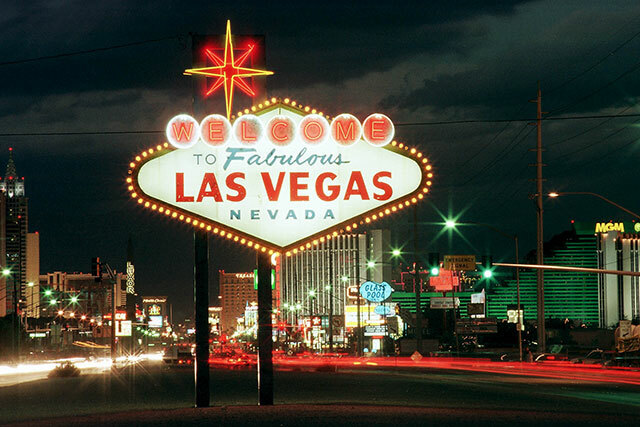 Some people will feel it as soon as they see that landmark sign, the one that beckons: Welcome to Fabulous Las Vegas. It’s a greeting that goes right to the pleasure center of your brain, straight to that place where a certain kind of visitor is already seeing visions of cards that turn in your favor, neat little towers of chips stacked in front of you and playing all night at the Venetian. You’ve arrived at a paradise in the desert built on winners and losers, where fools get lucky and the unfortunate lose their shirt. A place that’s already chomping at the bit to separate you from your money even before you make your way out of McCarran International, through which travelers haul luggage past row after row of bright, blinking slot machines just waiting for the next tourist to pull that lever. This is not a city built on secrets. It’s all laid out before you, right there like an open book. The glitter of the Strip, the chumps making stupid bets and playing games they don’t understand against a house that never loses. And if by chance there comes a point you realize the deck is stacked hopelessly against you, if you’re ready to say screw it, let everybody else keep their casino misadventures, the Fremont Street crowds and all the rest – well, friend, that’s when you’ll remember that there are other things in this life which remain squarely in your control. We’re talking, of course, about the freedom to knock one back inside any of Vegas’ fine drinking establishments, until such time as you’re ready to rejoin the world and commit some more of those follies that make losing one’s money feel like living the way high-rollers do. Las Vegas has a museum that explores the city’s historical connection to organized crime, so whaddya expect? 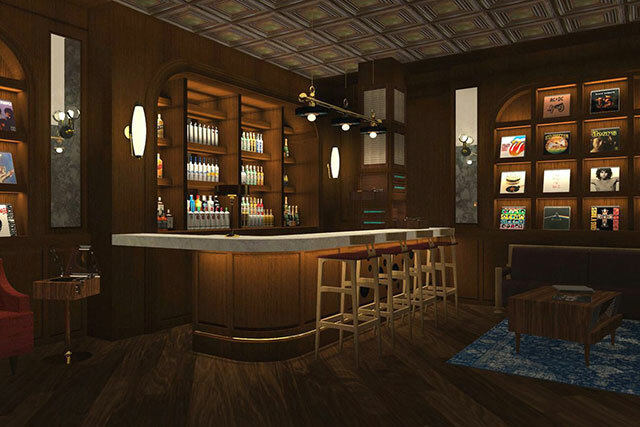 There’s obviously going to be a speakeasy-style booze joint on the premises — in the basement, in this case. Welcome to The Underground, where the doorman may or may not require a password from you (you should be able to get in anyway), and once inside you can enjoy music on the weekends, feel like a hotshot sitting in the private VIP section and enjoy Prohibition-era drinks like a Southside Gin Mojito. You can also ask for a shot of moonshine served from the on-site distillery, if you’re feeling particularly adventurous. 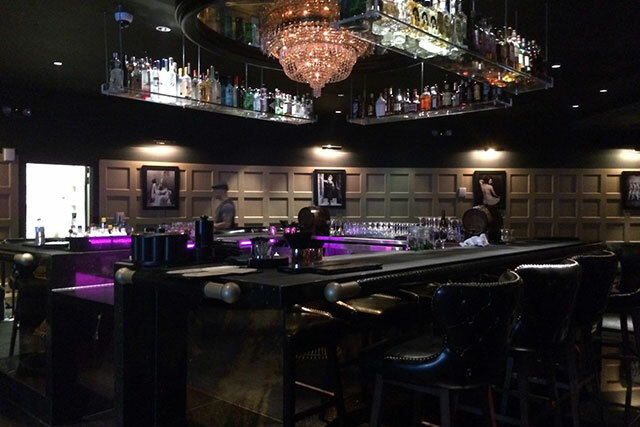 If you like the idea of a Prohibition-themed cigar and cocktail bar, a place where you can enjoy your Negroni or Manhattan in a cigar lounge with an entrance that looks like a liquor cabinet that slides away to reveal the entrance, this is the spot for you. This is a private bourbon bar hidden under the escalators in Mandalay Bay that serves up bourbon spirits along with signature barrel-aged specialty cocktails, all in a classy, old-fashioned space that might host a jazz band one night and burlesque dancers the next. 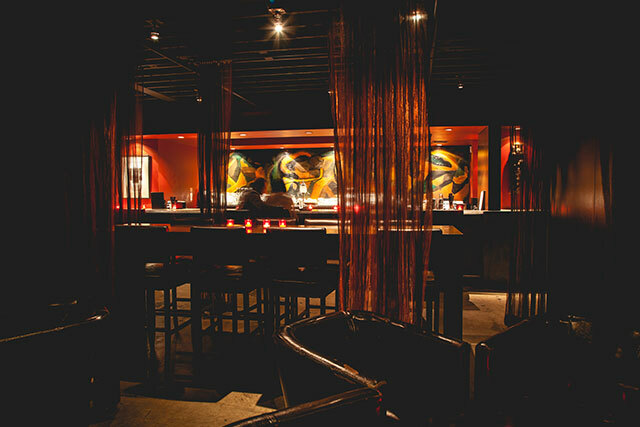 From the get-go in 2007, the Downtown Cocktail Room was intended to serve as an intimate cocktail that survived on word-of-mouth promotion. To wit: To get into this watering hole in the Fremont East entertainment district, one must pass through a trick door that’s meant to keep out drunks and other assorted ne’er-do-wells. 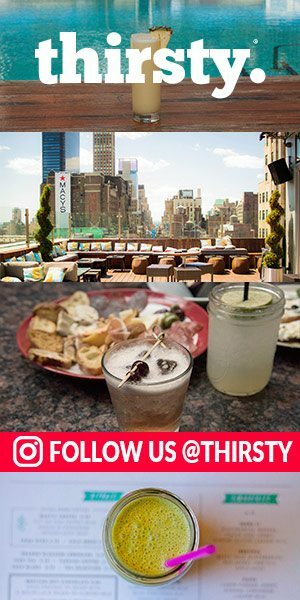 You push on the glass panel that looks a little odd to get in, and what you’re greeted with is an upscale vibe and a variety of seasonal menus along with a slate of hand-crafted original and classic cocktails. Here, we have a bar within a supper club. 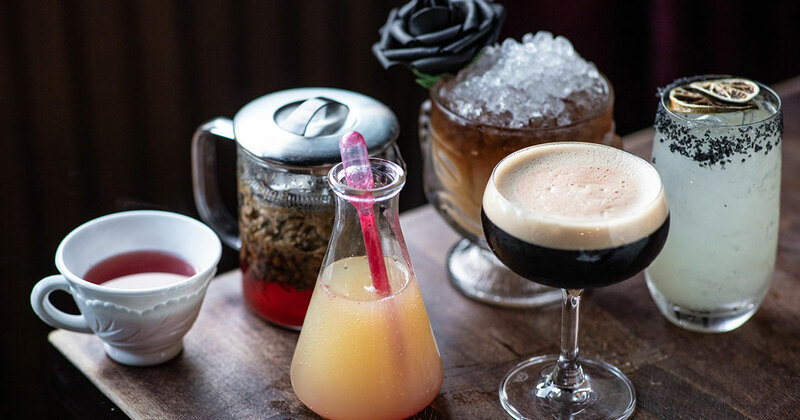 Rose Rabbit Lie is the super-luxe supper club found inside The Cosmopolitan, and it also hosts an intimate bar off to one side of the entrance called The Study. This is a chill lounge where you can order cocktails off a globally inspired menu affectionately dubbed the “Study List,” while listening to vinyl on the bar’s record player. The bookshelves throughout The Study add an extra note of class. 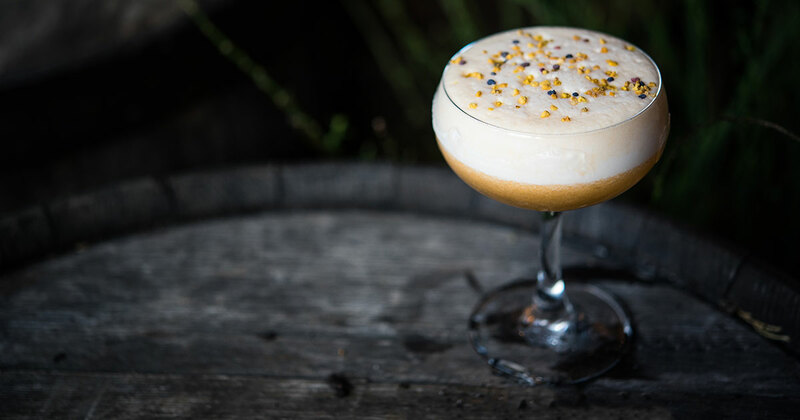 This craft cocktail and beer bar has had the honorific of “Las Vegas’ coolest bar” bestowed on it from various corners, and it’s easy to see why. It abounds with vintage furniture and local art, there’s an outdoor patio for live entertainment, and the fact that this Arts District institution was founded by two sisters just makes it that much cooler. And in addition to a selection of specialty beers with twelve rotating taps, not to mention 18 to 20 bottled beers, there’s also a seasonal cocktail menu to enjoy. 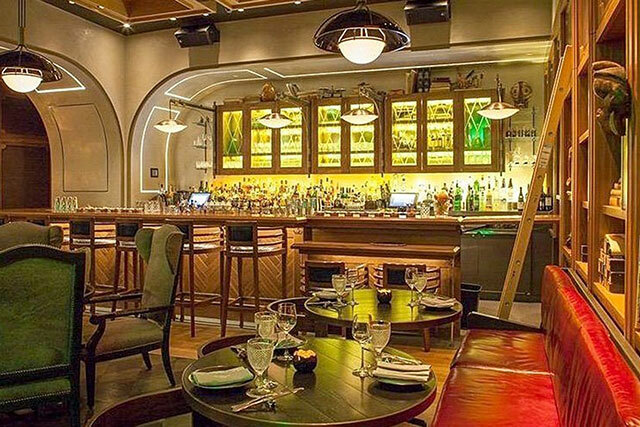 Situated in the back of the Park MGM restaurant Bavette’s Steakhouse, this is another of Sin City’s hidden drinking finds. It is lavishly appointed, with swanky furniture, a chandelier and walls covered in artwork, but you’re of course not here to look around. You’re here to raise a glass, and lucky you – the menu leans towards scotch, martinis and variants on those, so this bar has got you covered. Also worth noting: it’s only open on the weekends or at night during the week when there’s a big event like an NBA game at the nearby arena. To round out our list, we have a semi-hidden, sort-of secret bar within a popular Fremont East cocktail bar that actually once served as a laundry facility for the El Cortez casino. 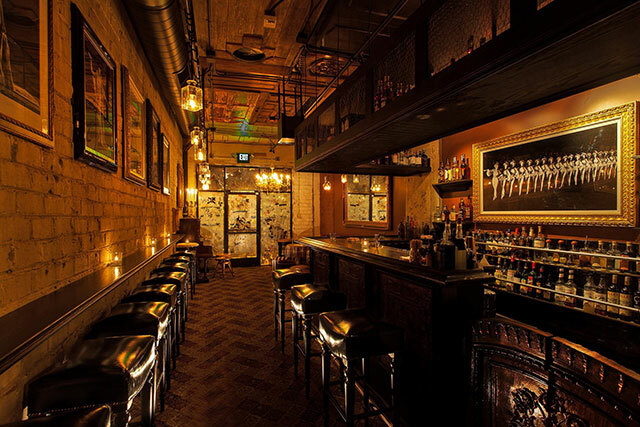 Hence the hidden bar’s name, The Laundry Room, which can be found inside the Commonwealth bar, on the other side of the back wall beneath the stairs. 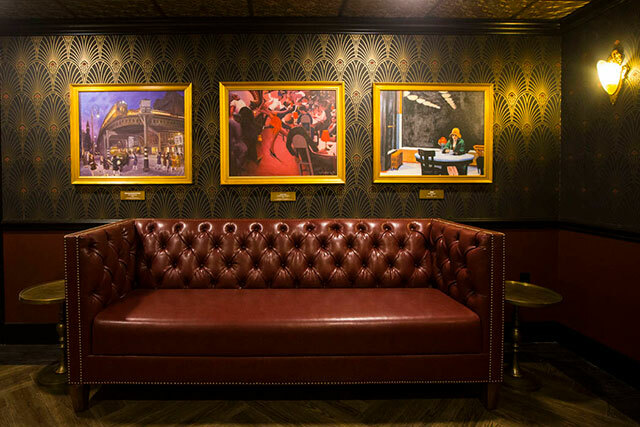 Commonwealth itself is a 6,000-square-foot cocktail bar that bombards guests with great art and pre-Prohibition era designs and drinks, while the hidden Laundry Room is a much more private and exclusive affair. It’s reservation-only and takes four parties every hour. House rules include no cell phones and no lovey-dovey stuff in public, which will help you to focus on the menu that includes cocktails with wonderfully whimsical names like the Corsage and Cigarettes After Prom.